To help try and find an answer to this, I’ve been using Nokia’s Lumia 710 as a main phone – there’s no substitute for experience, and you can read my review of it here. The smartphone market is one driven by a desire for unique and distinctive devices – quite unlike the white box consumer electronics business. Operating systems and platforms don’t really matter to people, who make their choice from three or four models on display on the High Street at any particular time. This isn’t to say they don’t matter at all – nobody wants to choose a lemon – but if a phone is on display, it has a chance of selling. Nokia has never had to think like this before, and spent the Noughties coasting on its brand and market position. Getting it to think about the customer and retail experience is one of the biggest cultural changes Elop has to make. Yet where are these quite outstanding and attractive devices going to come from? Microsoft’s reference platform allows little scope for differentiation or innovation. A couple of years after announcing Android, Google did a strategic U-turn that upset many of its partners. It anointed a manufacturer to work with on what is essentially a reference phone, giving this chosen handset Google branding. The idea was that other ODMs (Original Device Manufacturers) would have to raise their game. It’s worked and nobody left the Android fold. It’s hard to see Microsoft usurping Nokia’s branding (more than it already has), but the two need something creative to raise the visibility of WP in the public consciousness – it hasn’t left a footprint so far. But Microsoft needs to loosen its reference platform to encourage some serious design innovation. Where’s the Windows Phone Communicator – with a clamshell or slide-out keyboard? This is probably the easiest of the problems to fix. It simply takes time, money and careful product management. WP7 was very much a working technology demonstration, lacking removable storage card support and a clipboard, amongst other things. Mango fixes a lot of these, but it still feels like a version 1.1 product. The flagship Nokia devices don’t have video calling or tethering, for example. But it takes time. It took Apple three generations of iOS to implement a clipboard and four to implement coherent task switching and notifications. But these are major architectural features with huge knock-on impacts elsewhere. There’s little point in Microsoft getting one team to tune battery life when the system can change so drastically overnight. Now I’ll get to the hardest problem. We need to raise some home truths about the Windows user interface, which aren’t noticed by bloggers and unboxers and only become apparent after extended use. Colour me surprised – you might be too. 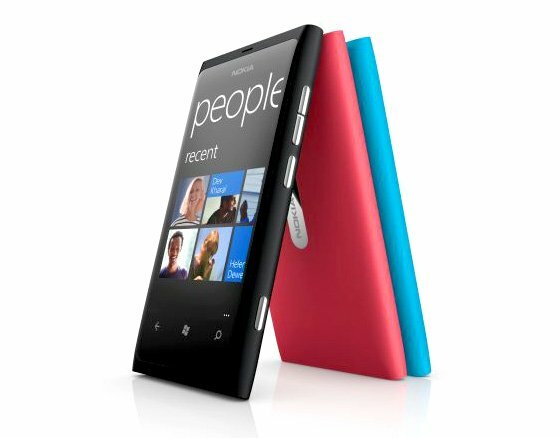 The Metro UI for Windows Phone has been justifiably praised for being clean and distinctive. Microsoft is extending it across more products, most controversially, into Windows 8. But in extended use, I found myself using the phone less than I expected, because I simply didn’t want to read text on the screen. This realisation came quite subtly, and was unexpected. Here’s what I think is the issue. Some things in the world are theoretically human-readable, but nobody ever reads them. Postscript source code is one example, the fiction of Cory Doctorow another. Metro turned out to be a little like this. It is a UI designed to be glanced at, and it fulfils that very well. But it makes poor use of the space available. My preferred WP Twitter app Rowl shows me three tweets at a time. You do have to pinch yourself that you’re using an 800×480 pixel screen. Entire newspapers were being laid out on VGA screens (or smaller – many were Mac Classics) 25 years ago – but this is a poor use of space. The font is for glancing, not for reading, and the white-on-black colour scheme doesn’t help. There’s too much thumbing going on. The default WP home screen shows you eight options. A thumb press will show you eight more options or twelve by revealing the Apps List. The default iPhone screen shows you 16, and a swipe 16 more. Android also shows much more. And from the Blackberry OS 7.0, I can change almost any setting by swiping from the top. Now none of this is catastrophic – and it’s all fixable. Choose a better body font, change some of the proportions, and vary the size of home screen tiles – all would help enormously. But first, admit there’s room for improvement. If you want to make the phone an "immersive experience", as per the jargon, don’t punish users for getting wet. "You can’t compete with free" is a cliche in the content world. And it’s proved one of the most misleading. Android is nominally given away for free, making Microsoft’s paid-for licensing model almost seem like an anachronism. Smartphone platforms are given away for free, or not given away at all. But this argument is misleading. Android isn’t free at all, the patent uncertainties require ODMs to pay third parties – including Microsoft. This is a long way from being resolved. So although one option is to go royalty-free, it’s one Microsoft doesn’t have to take. Not when there are more creative options on the table. Telcos like growth, but they view smartphones very ambivalently. Once the pesky users have one – all they want to do is use it – the impertinence! – while the value of the services we use is captured by everyone except the telcos. So mobile operators have rapidly found themselves in same funk as broadband ISPs – who want punters to sign up (as long as the acquisition cost is low), and who don’t want them to leave, but who want them to use the network as little as possible while they’re there. It’s a mug’s game: spending billions on network upgrades but seeing the value realised by device manufacturers (Apple) or ad networks (Google). The mobile network operators don’t want to be dumb bit-pipes – which is all they will be in Apple and Google’s future. It doesn’t have to be like this – and Microsoft has an ace up its sleeve, with a messaging platform almost everybody in the world has heard of: Skype. It might be time to start thinking about some radical initiatives. Here’s one: why exactly is Microsoft licensing Skype? Why is it even tolerating it? It paid a lot of money to acquire this proprietary VoIP messaging platform, and sees no advantage from it. How about raising the fees for Skype for some or all non-Windows mobile platforms? One of the first things Steve Jobs did in 1997 to stabilise Apple was to stop licensing MacOS and kill the clones. And messaging is just one example. Advertising and media could benefit from some sort of semi-open shared platform on the wholesale side. This is something Microsoft and Nokia have thought about, so the idea shouldn’t be alien. But it makes sense to move value up the stack. When all smartphones look alike, one with an attractive bundle of messaging and content should be able to stand out from the crowd. We might even pay a pound or two more for it. Of course, Windows Phone might not need any of this. Perhaps it’s just not being seen, and will sell gazillions of units once people see it. Perhaps simply throwing more money at development and marketing will do. It worked for Xbox. But Xbox was a success that was years in the making, soaking up billions of dollars of capital. Nobody involved in WP has this luxury. Nokia is fighting a battle on three fronts – and haemorrhaged €1bn last year – and Nokia is absolutely key to WP’s success. Although it has cash in the bank, it can’t fight on with this kind burn rate. Next PostNext "Daddy, what’s a Press License?"